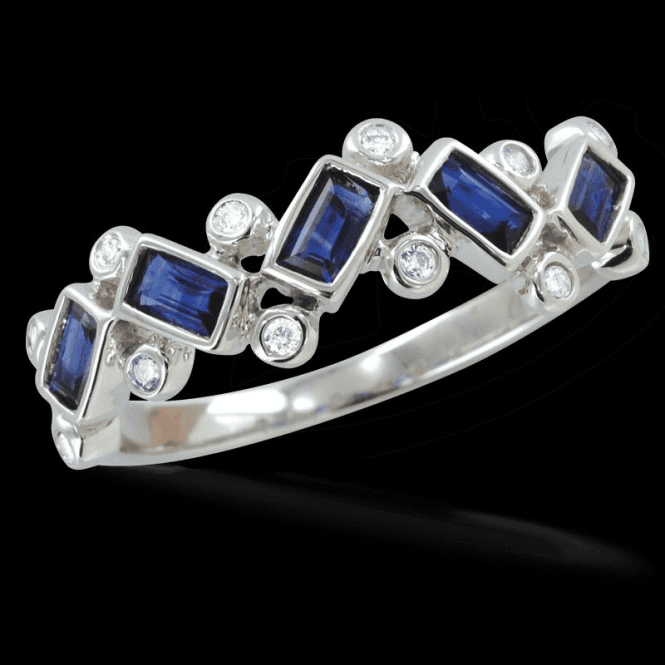 The Spectacular Rain Drops Sapphire RingThis dazzling new work of art contrasts the intriguing angles of five baguette cut gems with 10 bright diamond raindrops, totalling over three quarters of a carat. 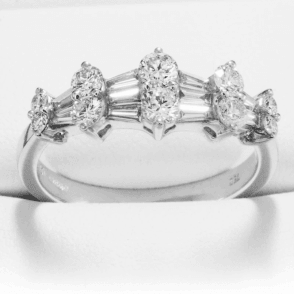 The stones are flush set for protection in 9ct white gold which intensifies the colour with a carnival sparkle. 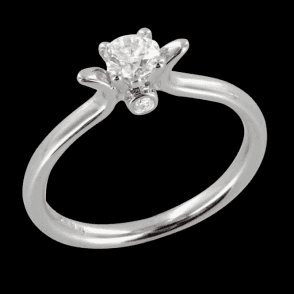 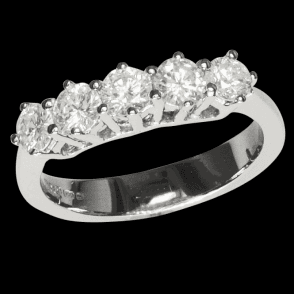 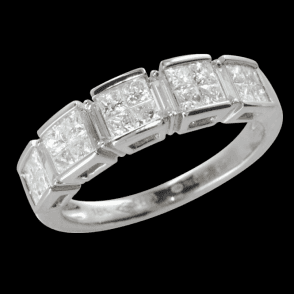 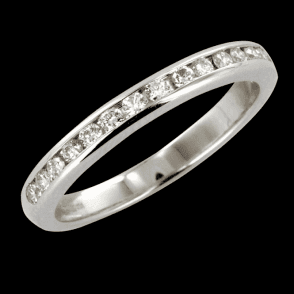 This design is also available in a choice of ruby or emerald. 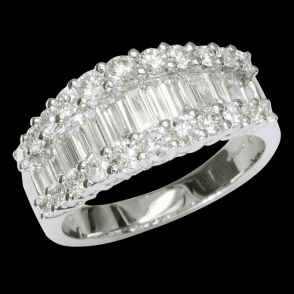 Gemstone size 3.5 x 2mm Diamond weight 0.8ct.